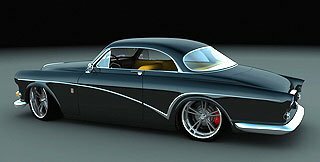 (from Bo Zolland) This a custom Volvo Coupe design by Bo Zolland for a custom car and Volvo collector in Arizona. 1966 Amazon 2 Door is the base, but with added custom tricks and coupe roof. The front and grille are little modified due to identification visibility. 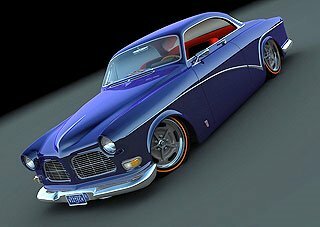 The car will have a Volvo 2004 S-80 T-6 engine/trans and rear wheel drive, modern brakes etc. 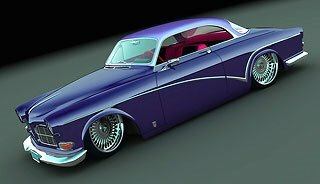 Air ride suspension and a mix of modern Volvo and Vette components in chassis. 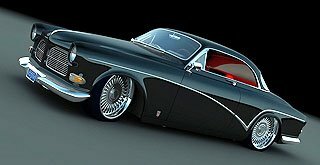 (from Joe Iacono Design site) Taylor Custom Street Rods in Hamilton, OH. is building this 1937 Sedan for Mike Soto. The product formula is set up for a production based vehicle that is offered through SRBD. 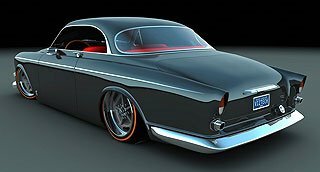 Body is the new Sedan model OZE body - Custom Chassis and fabrication by Tim Taylor- To learn more about this car and the details on the Sedan turn keys Please visit Taylor Custom Street Rods online! 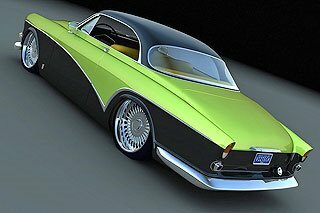 This car was featured both in 2005 and 2006 at the SEMA show in Las Vegas.